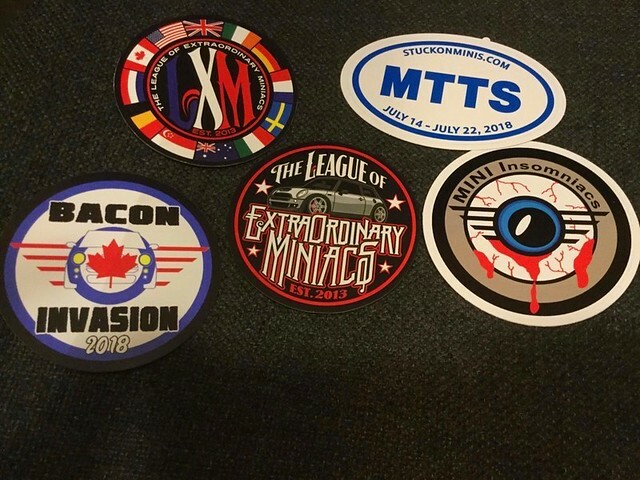 Is a Facebook group of MINI driver planning to drive across Canada from Quebec to Vancouver then south to feed into MINI Takes the States 2018. I drove 4000 kms for this trip. Looks like another fun run with MTTS! It was. A bit smaller than MTTS. Caused a bit of a border line up when we arrived, it caused the border crossing wait times to go from 10 minutes to about 1/2 hour. Last edited by beken; 07-30-2018 at 05:52 PM.. It was. A bit smaller than MTTS. Caused a bit of a border line up when arrived, it cause the border crossing wait times to go from 10 minutes to about 1/2 hour. Maybe it was just the checking for illegals. The MINI in front of us had two flags on their window. They had a US flag and a Canadian flag. The US border guard had them pull into the US Customs office and they confiscated the Canadian flag.